Apart from the standard set, the container of the Main may be designed for Wingmode. Wingmode differs from the standard one as the main chute container bottom corners are sewed together only 5 cm from the back of the container. This is to facilitate the deployment bag release in conditions of horizontal speed at the moment of opening and thus to reduce the chances of linetwist. Warning! 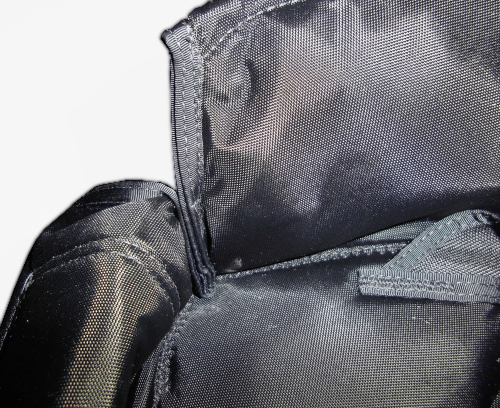 As the size of the pocket formed by the side flaps and by the bottom flap is reduced, the packing process of the Main chute becomes more difficult: it's harder to place the deployment bag symmetrically. Thus if you don’t jump in wingsuit constantly you probably do not need this option.